Clean. 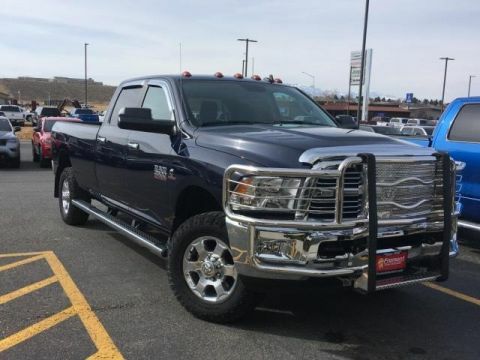 JUST REPRICED FROM $42,995, $1,400 below NADA Retail! 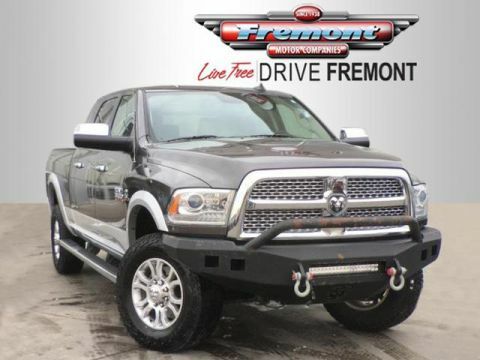 Navigation, Moonroof, Heated Leather Seats, SPRAY IN BEDLINER SEE MORE! 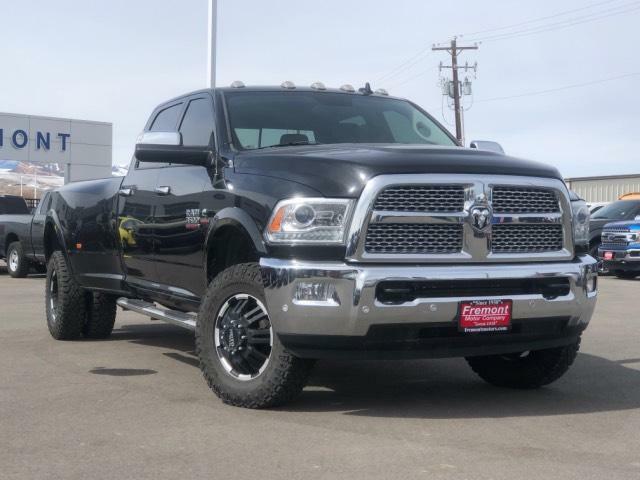 Leather Seats, 4x4, Heated Driver Seat, Cooled Driver Seat, Back-Up Camera, iPod/MP3 Input, Onboard Communications System, Trailer Hitch, Dual Zone A/C, Smart Device Integration, WiFi Hotspot, Heated Seats, Heated Leather Seats, Heated/Cooled Seats. MP3 Player, Keyless Entry, Privacy Glass, Steering Wheel Controls, Child Safety Locks. 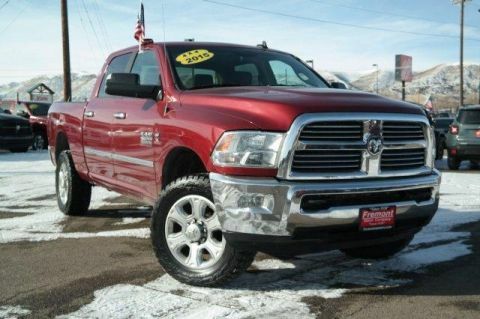 ENGINE: 6.7L I6 CUMMINS TURBO DIESEL 5.5 Additional Gallons of Diesel, Cummins Turbo Diesel Badge, GVWR: 12,300 lbs, Current Generation Engine Controller, Diesel Exhaust Brake, Selective Catalytic Reduction (Urea), 180 Amp Alternator, RAM Active Air, TRANSMISSION: 6-SPEED AUTOMATIC AISIN AS69RC HD 3.42 Rear Axle Ratio, Transmission Oil Cooler, DUAL REAR WHEELS Tires: LT235/80R17E BSW AS, GVWR: 14,000 lbs, Wheels: 17 x 6.0 Aluminum, Nexen Brand Tires, Rear Wheel Spats, Clearance Lamps, Tire Pressure Monitoring Delete, 17 Steel Spare Wheel, 6000# Front Axle w/Hub Ext, Box & Rear Fender Clearance Lamps, POWER SUNROOF, RADIO: UCONNECT 8.4 NAV SIRIUSXM Travel Link, (Registration Required), GPS Navigation, HD Radio, 1-Yr, SIRIUSXM Travel Link Service, 1-Yr, SIRIUSXM Traffic Service, SIRIUSXM Traffic, SPRAY IN BEDLINER, SINGLE DISC REMOTE CD PLAYER, REMOTE START SYSTEM FREMONT CARE. Was $42,995.